Have a plan! Be victorious! DTIWOMEN.COM is an online resource helping women discover effective forms of defensive firearms training and mindset. We’ll keep you updated with news, tips, quips, photos, books, training opportunities, and more. We have paired DTIWOMEN.COM with the power of social media to foster the growth of a growing, online community of women who are enthusiastic about becoming competent and confident with the use and carry of firearms. As a sister-site to DTI’S DEFENSE-TRAINING.COM, DTIWOMEN.COM is a direct resource for Military, Law Enforcement, and Private Sector firearms instructors seeking to learn and refine skills specific to teaching women to shoot. As part of Defense Training International, Inc, DTIWOMEN.COM exists for two reasons. One is for women who have made the decision to learn to protect and defend themselves, whether armed or unarmed. Secondly for instructors who are mastering the challenge of understanding the principals of teaching this skill specifically to women. This site, paired with our Facebook page, is intended to cultivate the growing community of women who recognize the need for self-defense and have made the decision to seek out the tools to accomplish it. Here, we provide those tools in the form of news, training, editorials/success stories, and other recommendations to help make self-defense a part of your lifestyle. We offer award-winning, innovative instruction in the form of classroom and live-fire training for women in military, law enforcement, and the general public. In addition, we provide unique training and resources for male instructors seeking to increase their understanding of the differences in the way men and women learn. 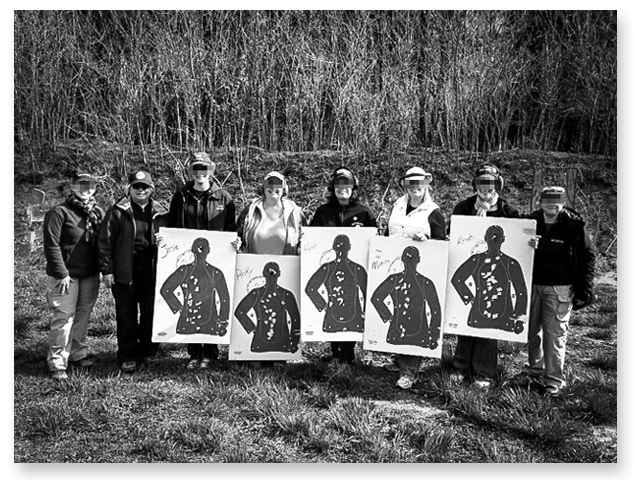 We help instructors overcome the challenge of effectively teaching women to shoot. 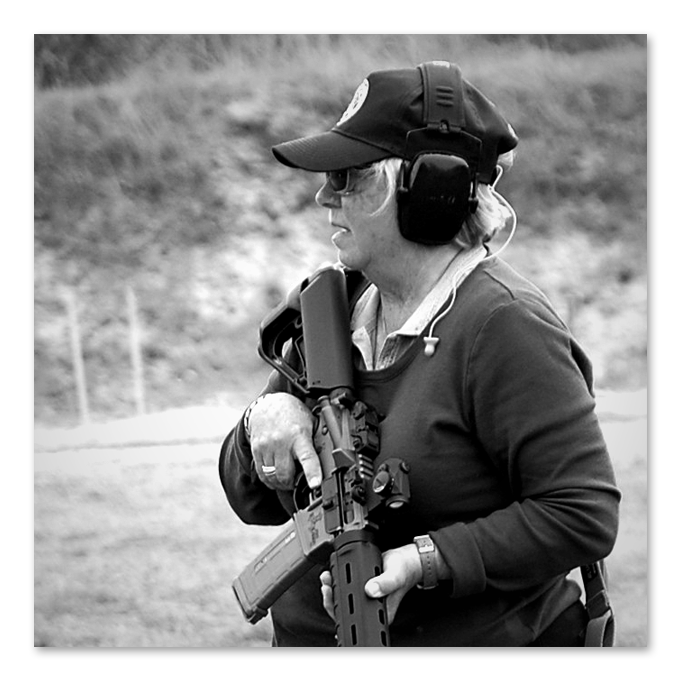 Vicki Farnam has been teaching firearms for over twenty five years with Defense Training International, Inc. In addition to teaching numerous women’s courses, Vicki specializes in teaching male firearms instructors how to teach women to shoot. In 2003, she co-authored her first book Women Learning to Shoot and shortly there after co-authored her second book Teaching Women to Shoot. In addition to teaching with law enforcement, she has also taught for the US Marine Corps at numerous women’s defensive shooting training conferences, and at both the ILEETA and ILEFAI annual conferences. Stay updated with news, tips, quips, photos, and more. Read. Share. Subscribe. Here’s the latest . . .
Do you have an article, blog post, or personal experience to share on DTIWOMEN.COM or our Facebook Page? DID YOU KNOW you do not have to ‘like’ guns in order to competently protect yourself with one? Many of the women we talk to are worried that learning to use firearms means they’ll have to suddenly enjoy it. To be fair, some find that they do actually like it. But the choice to learn how to use firearms to defend yourself and your family doesn’t mean gun-talk and shooting ranges have to be part of a new hobby. It’s okay to not like it. You may already be part of an ever-growing community of women. If you’re not already a gun-owner, when you make the decision to make firearms part of your lifestyle, you’ll be joining a growing number of women who have made the decision to do the same. In fact, in 2013 the number of female gun owners nationwide increased to 23%, compared to 13% in a 2005 according to a Gallup poll on the topic. That’s a 77% increase in 7 years. I decided to do some research about the differences in how men and women learn when male law enforcement instructors came to me and asked why they were effective teaching men but did not have the same results when teaching women. My research led to discoveries which have helped innumerable instructors and students. Sometimes the female officers are sent directly to me to turn around their failures. Sometimes I am brought in to an agency or department to provide the “Instructional Challenges” class for their instructors about teaching women. In all cases, there is enlightenment and improvement in knowledge and in qualification scores. 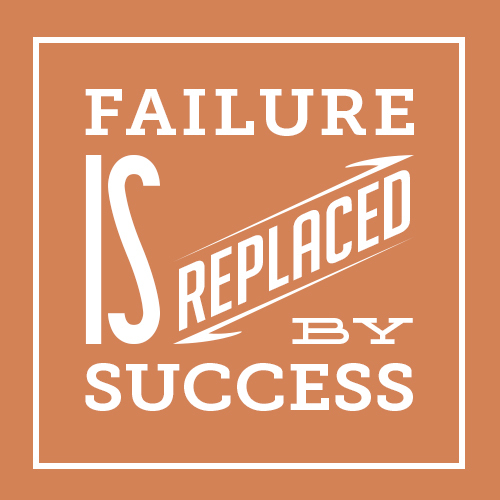 Failure is replaced by success! Classes have been presented at agencies/departments on the local, state and national levels, including the US Marines. Also law enforcement training conferences on the state and national/international level, including both ILEETA and ILEFI. Learn life-saving skills for female LEOs, Military, and private sector individuals. Learn to effectively teach these skills to your female students.